Just like the Equinox restaurant which provides an excellent view of Singapore’s Central Business District area, the rooms of Swissôtel the Stamford Hotel also provides an unobstructed view of Orchard Road and the City Hall area, depending on where your room is facing. 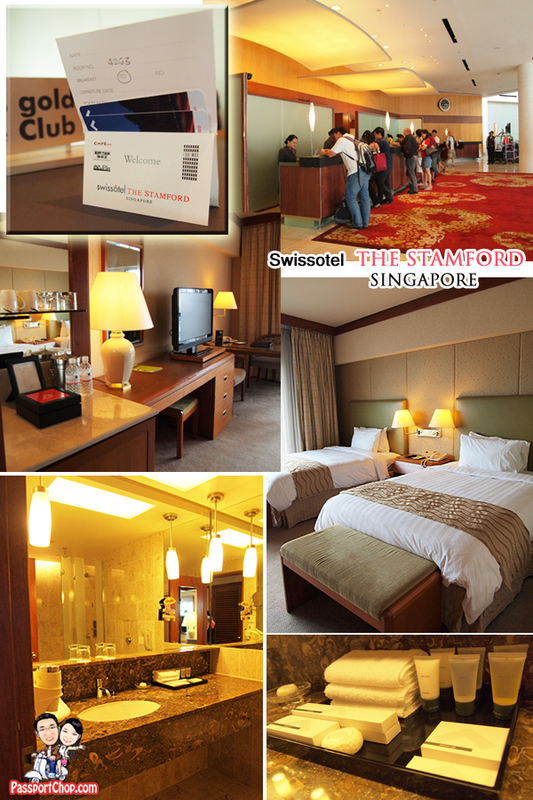 Swissôtel The Stamford is one of Southeast Asia’s tallest hotels at a height of 226 metres. Located in the heart of Singapore, this hotel is part of the Raffles City complex and conveniently located above City Hall MRT station. The room amenities are quite standard – multi-purpose office desk, LCD TV, well-stocked mini-bar and a great collection of Aigner-brand toiletries. One thing to note though is that the Swissôtel the Stamford Hotel has a history of over 25 years old so while most of its room facilities are modern, there are parts of the room that had retained its 80s-design style. 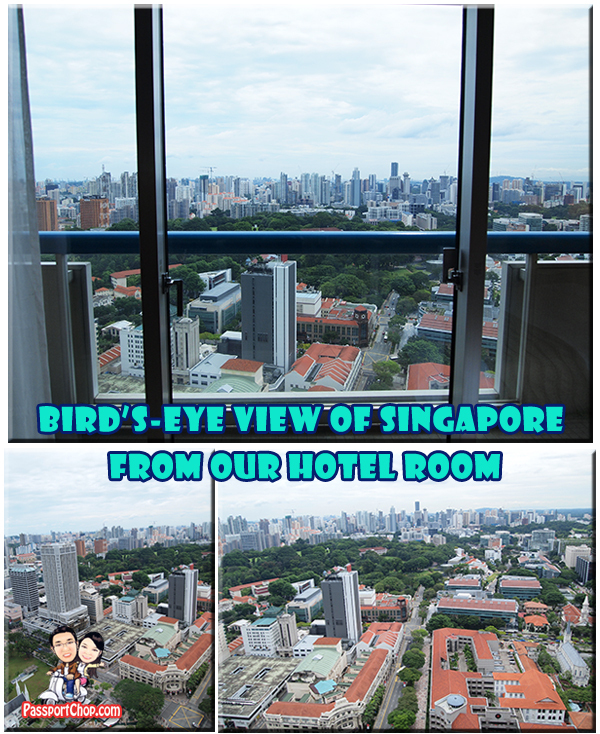 One of the best selling point for Swissôtel the Stamford hotel is its view from the room balcony. Depending on where your room is facing, you can enjoy views of downtown Singapore – the busy Orchard area or the Central Business District area with its skyscrapers or the Singapore Flyer with the Marina Bay Sands as its backdrop. This balcony area is also the only part of the room which seemed to be unchanged since it was built in the 80s – the minimalistic design, distinct blue safety bar with floor tiles reminding of my old HDB flat (also built in the early 80s). From our 42nd floor room balcony, we also had the opportunity to catch a NDP rehearsal preview with its contingent march-past. The best part about this is we were able to feel the supersonic boom of the fighter jets as they flew over the Padang parade area and see as the planes fly into the far horizon.